Don’t expect them to swim, but….Daddy Long Legs coming to Myrtleville. 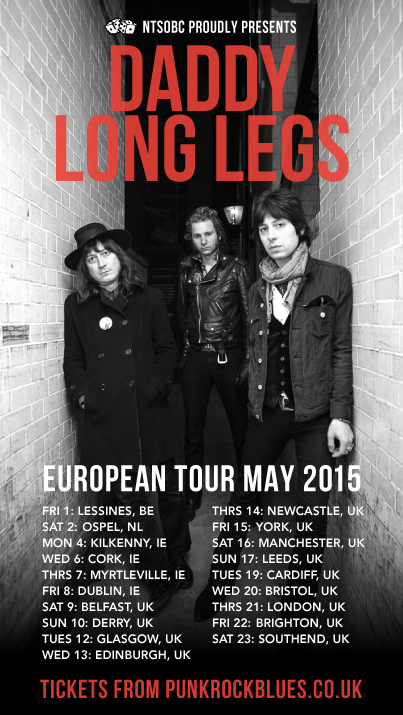 Have a look at May 7th on this European tour. The Pine Lodge. Like loud, fast Blues? Sure, where else would you be? This entry was posted in Events and tagged Daddy Long Legs, The Pine Lodge by myrtlevilleswimmers. Bookmark the permalink.